It has the quality of Myth: a poor cobbler’s son, a seminarian from an oppressed outer province of the Russian empire, reinvents himself as a top leader n a band of revolutionary zealots. When the band seizes control of the country in the aftermath of total world war, the former seminarian ruthlessly dominates the new regime until he stands as absolute ruler of a vast and terrible state apparatus, with dominion over Eurasia. 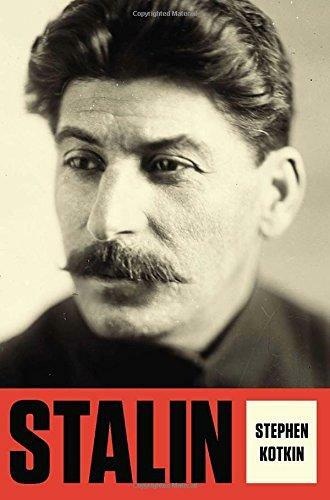 While still building his power base within the Bolshevik dictatorship, he embarks upon the greatest gamble of his political life and the largest program of social reengineering ever attempted: the collectivization of all agriculture and industry across on sixth of the earth. Millions will die, and many more millions will suffer, but the man will push through to the end against all resistance and doubts.